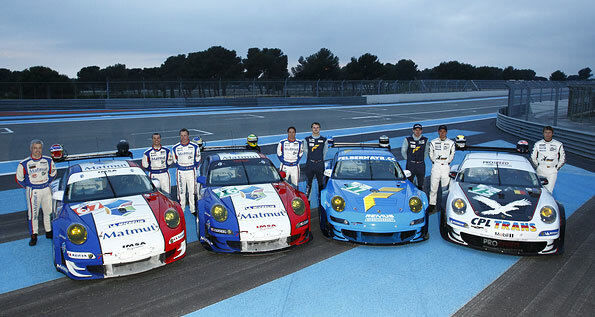 Porsche teams are well prepared for the start of the Le Mans Series (LMS) on 3 April on the southern French Circuit Paul Ricard in Le Castellet. Porsche pilots have one main goal this season: Right from round one, they aim to secure as many points as possible against strong opposition with their Porsche 911 GT3 RSR. The Circuit Paul Ricard has hosted the season-opener of the LMS since 2010. For 2011, the race duration has been shortened from eight hours to six. Because of the almost two kilometre long Mistral straight, the 5.791 kilometre former Grand Prix circuit, located on a high plateau about 40 kilometres northeast of Marseille, is often used to prepare for the Le Mans 24 hour race. A key passage of the track is the long, fast right-hander at the end of the straight, with a typical feature of Paul Ricard the wide, brightly painted run-off areas. 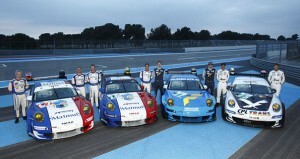 Five Porsche factory drivers compete in Le Castellet. Reigning champions Marc Lieb (Germany) and Richard Lietz (Austria) take up the race for the Felbermayr-Proton squad. Patrick Pilet (France) shares driving duties in IMSA Performance Matmut’s 911 GT3 RSR for the first time with Wolf Henzler (Germany), the Le Mans winner from 2010. Like last year, former Porsche-junior and now works driver, Marco Holzer (Germany), drives for ProSpeed Competition. Joining him as a new teammate is seasoned campaigner Marc Goossens (Belgium). Whilst these pairings contest the GTE-Pro category with the improved 2011-version of the 911 GT3 RSR, two 2010-spec 911 will contend the GTE-Am class. In this class, only one professional race driver per vehicle is permitted to compete. At Felbermayr-Proton, team owner Christian Ried (Germany) joins forces with Horst Felbermayr senior and junior from Austria. Raymond Narac, team owner of the IMSA Performance Matmut squad, starts with his French compatriot Nicolas Armindo, who has switched to the LMS after winning last year’s Porsche Carrera Cup Deutschland. The most successful GT race car of 2010 heads into the new season with some improvements. The output of the four-litre, six-cylinder boxer engine has increased to 455 hp (335 kW). Priority in the further developments was given predominantly to the newly-designed aerodynamics at the front and rear. When the race in Le Castellet was run for the first time last year as the season-opener of the Le Mans Series, Marc Lieb and Richard Lietz won in the Porsche 911 GT3 RSR. This success laid the foundation for their title victory. In the 2010 Le Mans Series, Porsche clinched all three GT2 class titles for drivers, teams and manufacturers. The six hour race kicks off at midday on Sunday, 3 April. Qualifying for the GTE classes takes place on Saturday from 13.45 to 14.05 hours. GTE Pro class: This most popular class amongst car manufacturers (previously known as the GT2 class) is traditionally the best supported: Modified standard sports cars with up to 460 hp and a minimum weight of 1,245 kilograms. 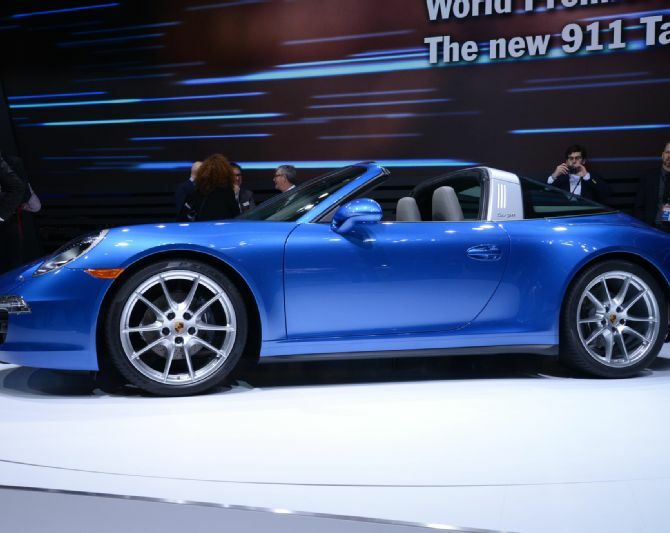 GTE Am class: Like the GTE Pro, but 2010 specification. Furthermore the regulations dictate that each vehicle must have one professional driver at the most. LMP1 class: Sports prototypes with up to 550 hp and a minimum weight of 900 kilograms (petrol engines) or 930 kilograms (diesel engines). LMP2 class: Sports prototypes with ca. 440 hp strong engines which have been homologated in the GT class, and an 825 kg minimum weight.